3-CD box (LP-size) with 36-page book, 64 tracks. Playing time approx. 157 mns. As a group, Wally Whyton and the Vipers were the premier British performers of the Skiffle era. Their distinctive style was the very essence of the musical craze which swept Britain for a brief period around 1957, making them the standard to which many young, would-be-Skifflers aspired. 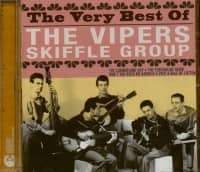 This 3-CD box-set includes every record commercially issued on Parlophone by The Vipers Skiffle Group or just as The Vipers. It also includes previously unissued Parlophone masters, including the first recordings in 1958 to feature Jet Harris and Hank Marvin in the pre-Drifters/Shadows days. 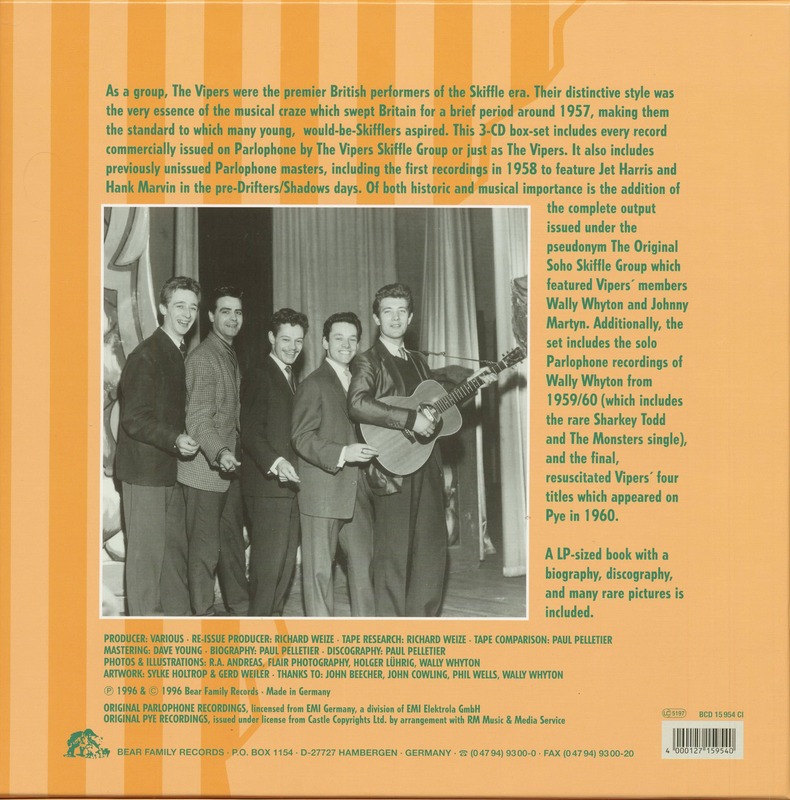 Of both historic and musical importance is the addition of the complete output issued under the pseudonym The Original Soho Skiffle Group which featured Vipers´ members Wally Whyton and Johnny Martyn. 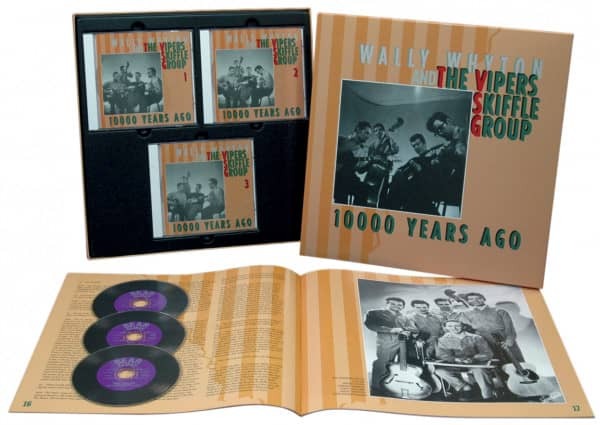 Additionally, the set includes the solo Parlophone recordings of Wally Whyton from 1959/60 (which includes the rare Sharkey Todd and The Monsters single), and the final, resuscitated vipers´ four titles which appeared on Pye in 1960. A LP-sized book with a biography, discography, and many rare pictures is included. The Vipers come closest to the general perception of a skiffle group. They were neither as relaxed and grown-up as Ken Colyer, nor as explosive and extrovert as Lonnie Donegan, but trod the middle ground. Their vocal and instrumental standards were good but not outstanding, while their image resembled a troop of slightly bohemian 'students from next door', belonging, as they did, to the insiders at the 2 I's coffee bar in Soho. It was exactly this 'normal' aspect of their music that made them the chosen role models for so many other bands that followed, rather than Colyer and Donegan, whose talents and success appeared unattainable. As far as record sales went, Donegan was way out front, with the Vipers next in line. Their success was not unanticipated because their act was authentic, their producer George Martin was experienced and their record company knew a thing or two about how to deliver a good product to the potential buyer. 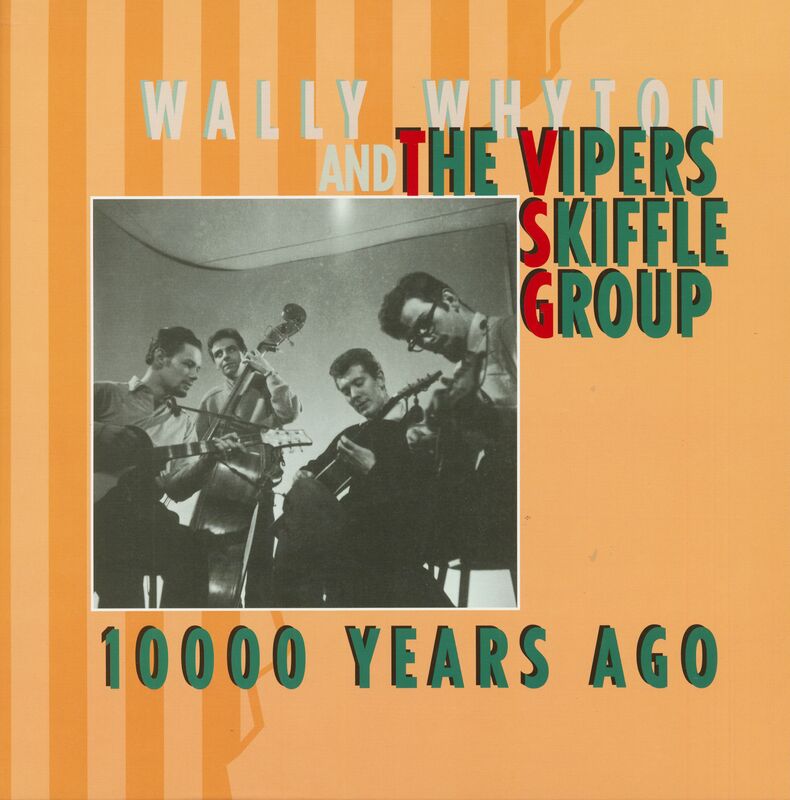 The musicians surrounding lead singer and guitarist Wally Whyton had exactly the right 'campfire' touch that inspired others to join in and conveyed the feeling, “I could do that!” The Vipers Skiffle Group was formed in 1956 and had already released their first single by August of that year. 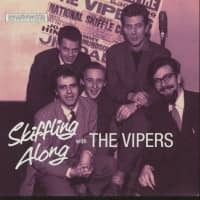 They released a number of fine records during their career, including Maggie May, but as the skiffle boom began to die away they shortened their name to the Vipers and embraced other styles, such as rock 'n' roll. Hank Marvin and Jet Harris, later to become famous with the Shadows, played on their version of Summertime Blues. When the band finally called it a day, Wally Whyton continued as a solo act and became known as a country and folk specialist, with his own radio show. He also worked extensively in children's television and died in 1997. Customer evaluation for "10.000 Years Ago (3-CD Box Set)"